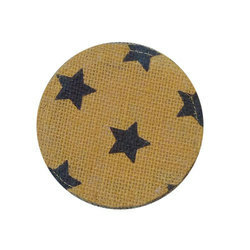 Providing you the best range of designer jute coaster with effective & timely delivery. We are the manufacturer of Jute Handicraft - Jute Coaster Large Designer. The wide gamut of Jute Handicraft - Jute Coaster Large Designer items offered by us is highly appreciated for their renowned features and stylish appearance. These items are designed and developed in line with the current standards of the industry.